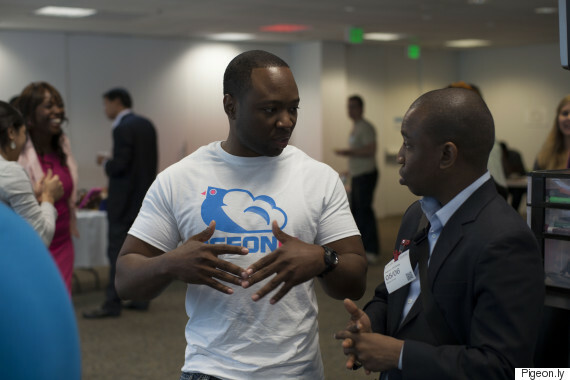 Hutson launched Pigeonly in 2013 after receiving coaching and input from the NewME Accelerator in San Francisco, which helps support underrepresented entrepreneurs. Pigeonly's products to date include Fotopigeon, a prison-friendly photo-mailing platform, and Telepigeon, a service that drastically reduces the often cost-prohibitive price of phone calls to and from correctional facilities. “Most people don’t have life sentences, so the real question we have to ask ourselves is, what type of person do we want to release?” Hudson, now 31, told The Huffington Post. “Someone who’s isolated from everyone they know and lost touch with everyone who could support them who, when they’re back on the street, are way more likely to go back to the previous activity they were doing before prison? No." Fotopigeon prints photos uploaded by a user and mails them to a prison on the user's behalf, carefully abiding by the strident and sometimes confusing regulations that govern mail sent to prisons. The service already has a base of 80,000 customers who have uploaded over a million photos, at 50 cents apiece with free shipping, since the service began. 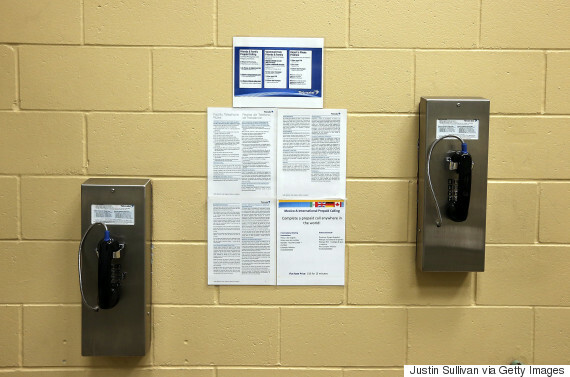 Through Telepigeon, inmates can call a local number that routes to their loved ones wherever they're located, allowing those inside to avoid the high long-distance rates more typical of the prison phone industry. One package allows for unlimited call minutes using a local number for $9.99 a month -- a far cry from that brief $17 long-distance call. The new service is protected by a landmark 2013 decision issued by the Federal Communications Commission, which lowered fees that made it hard for prison residents to maintain contact with the outside. Some 60,000 customers have used Telepigeon since it launched just last year, the company says. The backbone of both services is Haystac, Pigeonly’s own inmate locator. Haystac makes it easier for families to identify the facility in which their loved ones are located by gathering county, state and federal prison data all in one place. Fotopigeon and Telepigeon have saved families an estimated $3 million in phone charges and alternative mailing services through January 2015, the company says. The personal connections maintained by such services can indeed have a big impact. Inmates at state facilities in the U.S. are typically incarcerated about 100 miles away from their families, meaning phone calls and contact through the mail tend to be far more frequent than in-person visits. Distance was a big factor in Alychia Davis turning to Pigeonly’s services to help her keep in touch with her loved ones, including a sister behind bars in West Virginia, a boyfriend behind bars in Texas and, until recently, her 71-year-old father who was incarcerated in Minnesota. Living in Douglasville, Georgia, and taking care of her 7-year-old son as well as her sister’s 9-year-old son, regular in-person visits from Davis are out of the question. But Davis says the company’s phone and photo-mailing services have been fast, easy to use, and saved her hundreds of dollars -- not to mention making a big impact on her loved ones’ lives thanks to more frequent contact. Because her father suffers from dementia, she said, the photo sharing had a particularly strong impact on her efforts to keep his memories intact. A loss of contact can have the reverse effect. Daniel Lein, 28, of Lake Geneva, Wisconsin, told HuffPost he’s spent about six years of the last decade behind bars in both his home state and across the border in Illinois. He said that family members visited, wrote and called relatively frequently when he was first behind bars, but that changed during his most recent sentence of 19 months, when he had little to no contact with anyone on the outside. Lein described the psychological toll of his most recent sentence as “huge,” thanks in part to the isolation he felt from his family, including his two children. With little money to spend toward his commissary, he said, he stole peanut butter while working in the kitchen to trade for envelopes he used to correspond with his family. Having raised $3.2 million in seed money to date, Pigeonly is now looking to expand its services into other areas crucial to the company’s customers, most of whom are low-income and half of whom do not have bank accounts. Its next project, Hutson said, will be a service that allows for less-expensive money transfers between inmates and their loved ones. Hutson said he also hopes to launch other product lines addressing employment and affordable housing issues and offering legal services. When it comes to the bottom line, Hutson credited his company’s success to “an incredible amount of pent-up demand" for a demographic traditionally ignored by the tech industry, which typically has little knowledge of the challenges and obstacles faced by communities disproportionately affected by incarceration. Because Hutson has lived it himself, personally dealing with the isolation and trauma, he has been able to fill that void. “Most companies are building products for problems they understand or demographics and markets they understand. They experience something and build a product to solve that problem,” Hutson said. “You don’t understand unless you go through it."